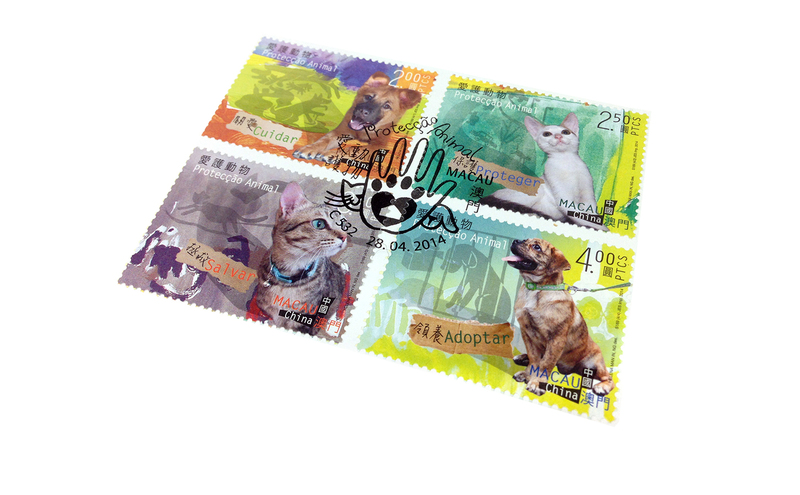 New stamp collectible series was issued on April 28th, 2014. 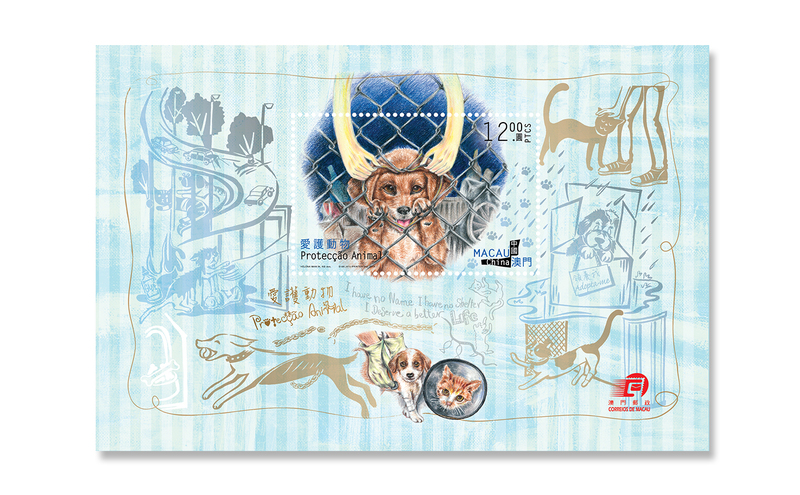 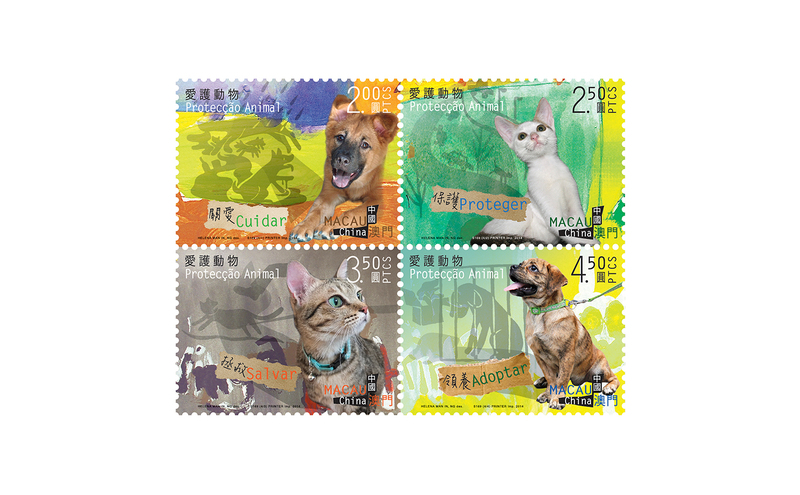 Helena's Stamp Collection "Animal Protection" designed for Macau Post Office issued in 2014 is selected as a winner in the SOcial Good International Design Award 2014 - For Profit, Client-Initiated Category. 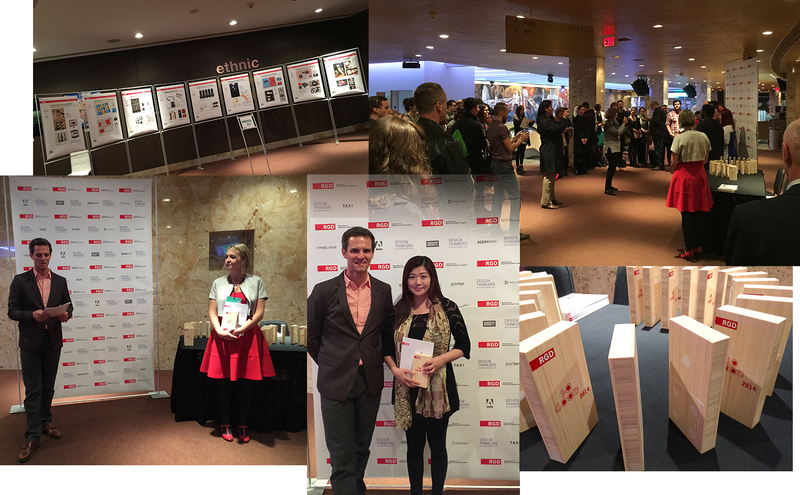 Every year, the Association of Registered Graphic Designers (RGD) which is one of the most recognized standard for professional qualityin Canada invites submissions of graphic design projects from around the world done under the theme of communication design for social good. 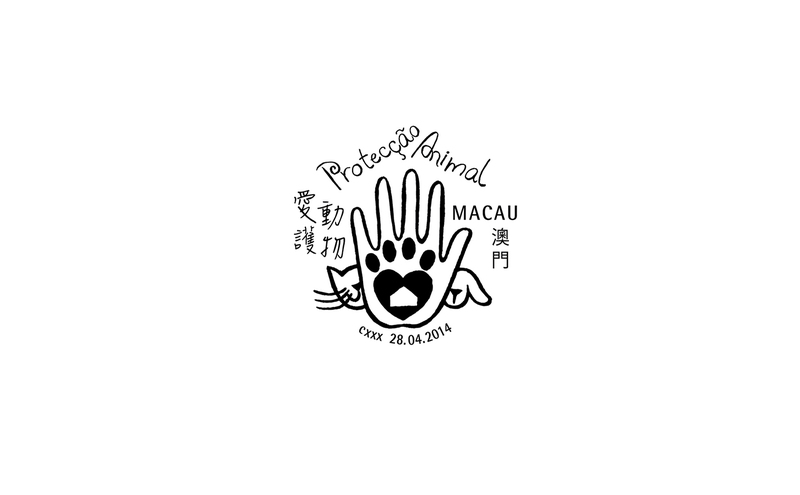 For 2014, 15 judges representing a broad range of creative expertise have selected 38 projects for 4 main categories that effectively promote action in support of meaningful social change in the way we live our lives through original and creative design. 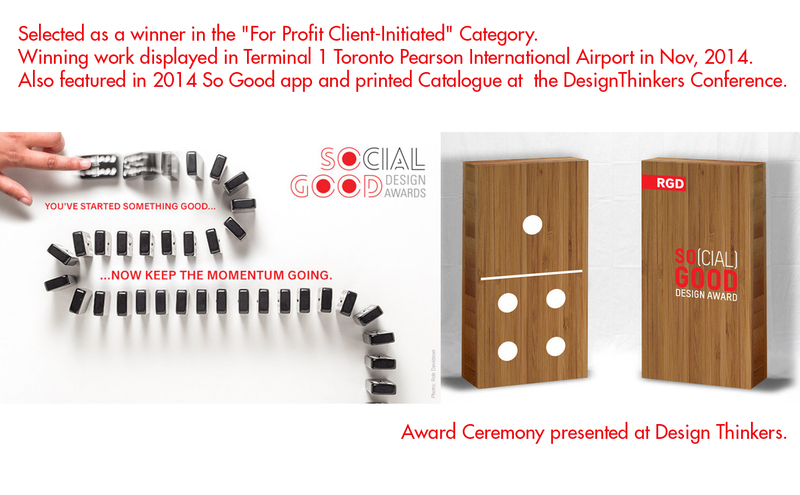 An exhibit of the winning projects will be on display at Terminal 1 of the Toronto Pearson International Airport beginning from November 18th - March 2015. 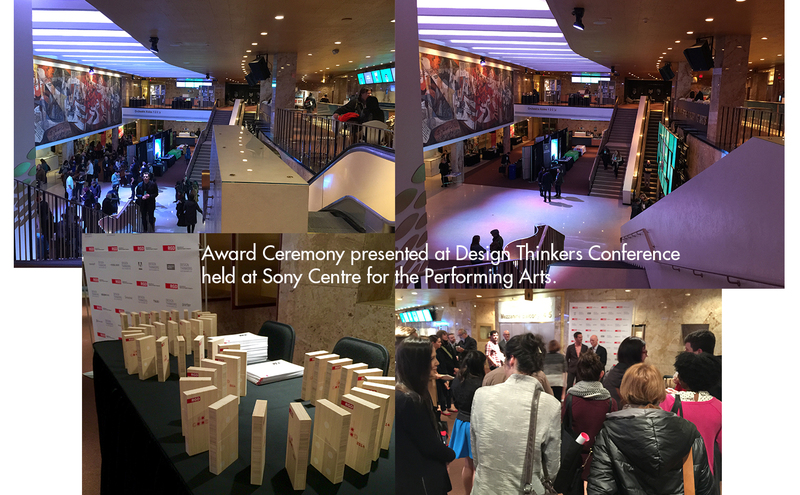 The 2014 So Good Design Award was presented at the DesignThinkers Conference held at Sony Centre for the Performing Arts in Toronto. 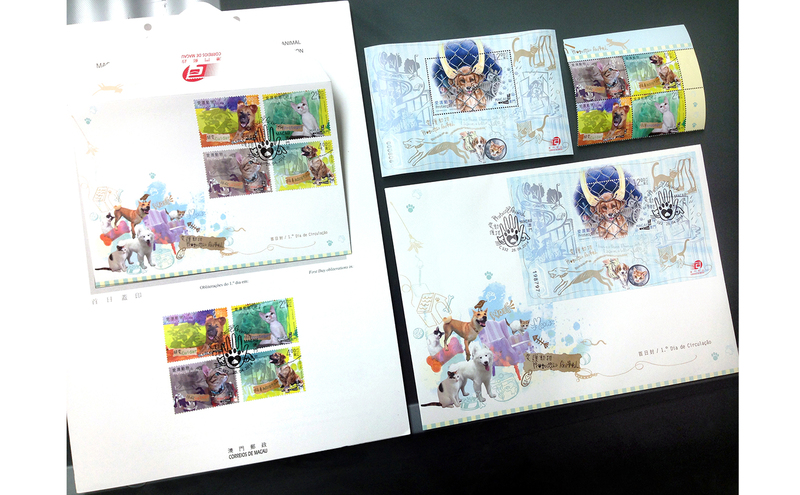 2014 Printed Catalogue and apps are also be available after the event. 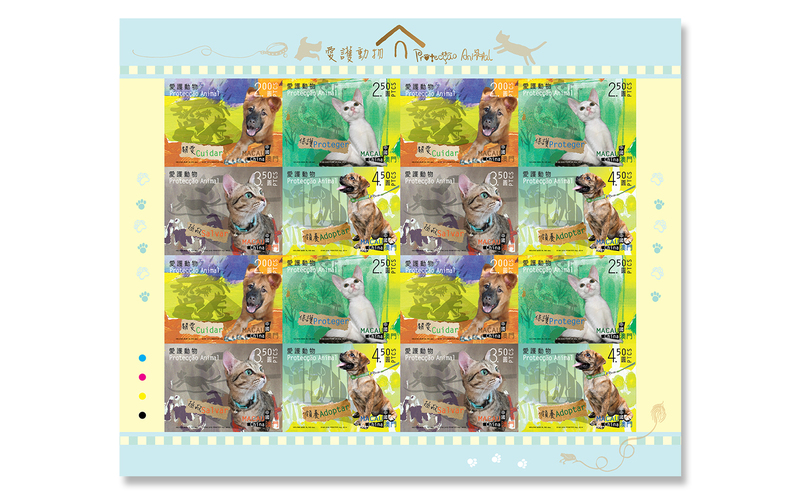 Seeing so much animal cruelty happening everywhere especially in Asia and many animals are left homeless, I proposed a special stamp collection series design to Macau Post Office on "Care, Protect, Save & Adopt" for animals and got accepted. 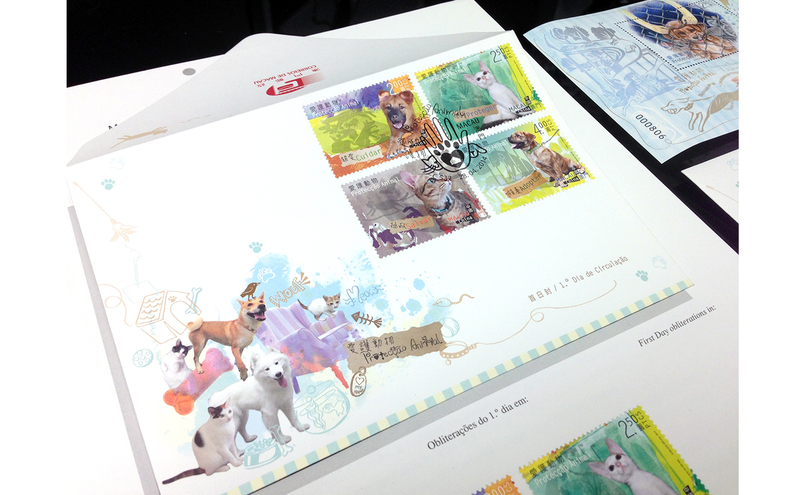 All the animals appeared in the design series are actual adopted animals which were once abandoned or tortured. 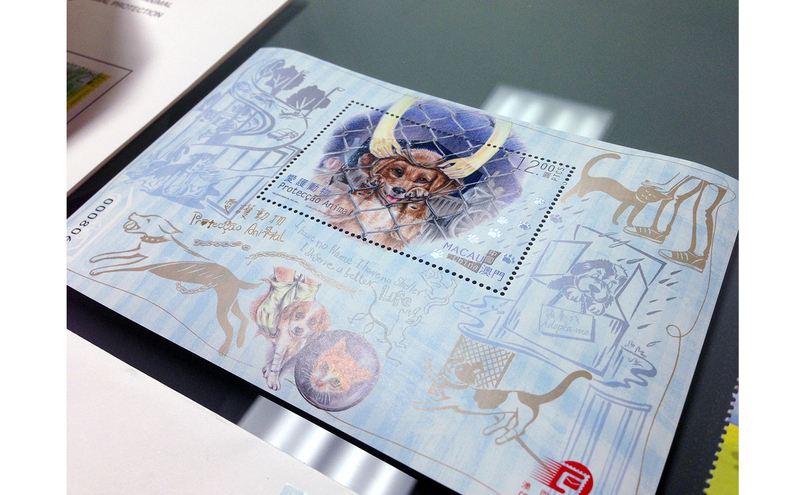 I illustrated their bad experiences in the background. 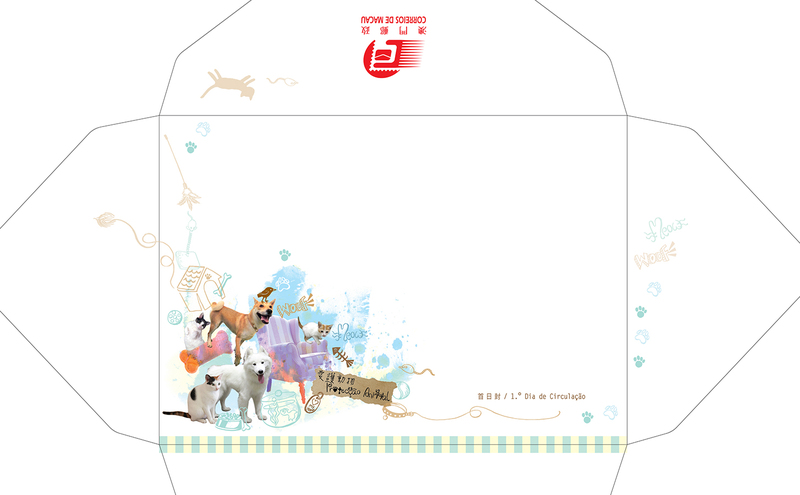 On the souvenir sheet (the blue one), I drew a dog behind the wire net with a human hand opening a heart-shaped window for him. 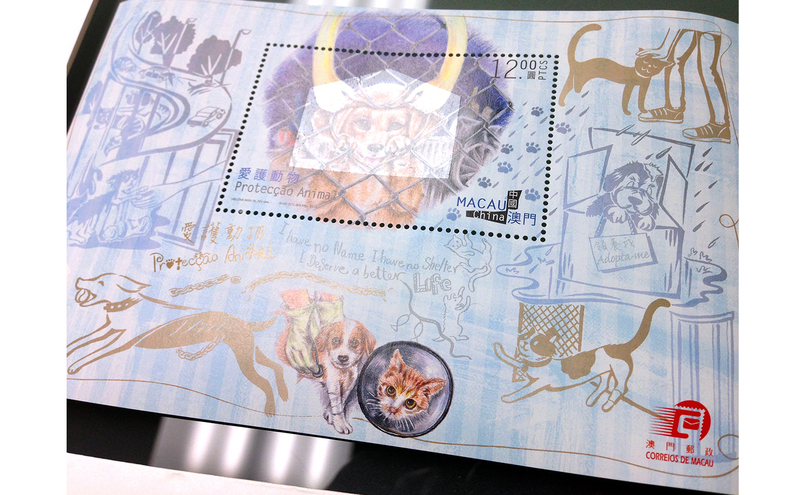 In the real printing, there is a shiny water mark of a house on the stamp, too to show the idea of giving the poor animals a home. 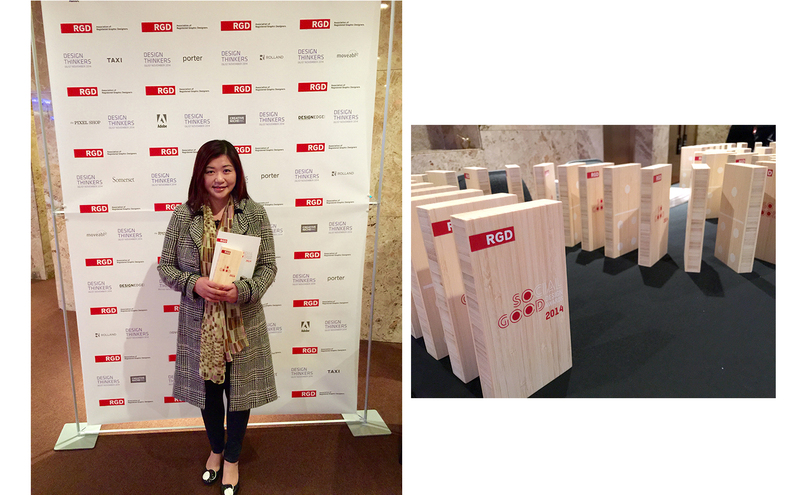 Helena has won the SOcial Good Design Award two years in a roll. 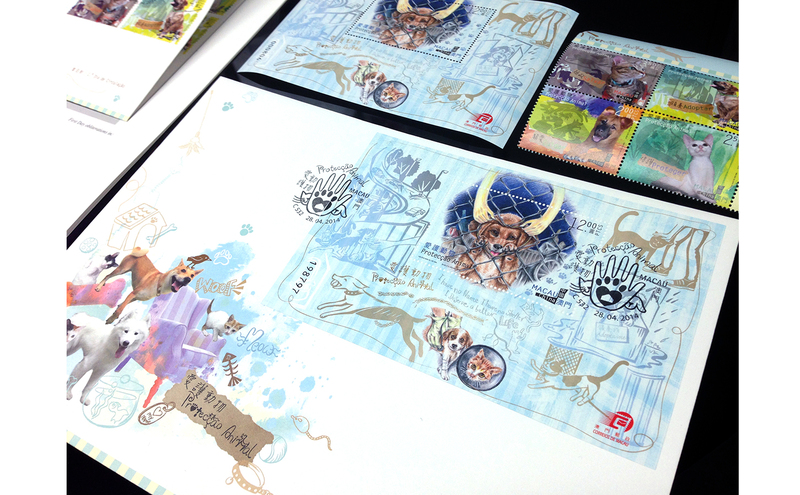 Her 2013 winning project is a corporate branding design series - "Finding Our Way" for Alzheimer Society of Ontario.